We are happy to welcome you to Kids for World Health, a grass-roots organization created entirely by kids with the guidance of their Advisors, for the purpose of helping to eliminate Trypanosomiasis or Sleeping Sickness and other targeted diseases within the countries of Africa and South America. KFWH is a human outreach to those infected with neglected diseases and to the thousands who die each year knowing that a cure exists, but for them is unattainable. In my career as a teacher, the KFWH experience has proven to be an incomparable educational example of student ownership and engagement. It has been an opportunity to support the voices of students in their expression against social injustice. How amazing and gratifying to observe students of all ages as they realize that they can make a difference! Of our three aims: Awareness, Fundraising, and expansion of Membership, our Advisor,and Founding Mentor, Dr. Jean Jannin, Coordinator of the Tropical Neglected Diseases Department for the World Health Organization, had this to say: “Of course, we need money; but what we need more importantly, is awareness. These young people (KFWH) have said that it is not acceptable that children are dying of curable diseases.” Much can be done in the area of awareness to help the next generation and their communities to understand the lives of people, who in our shrinking world, are no longer so far away. Creating an awareness of the issues is essential. To encourage education and awareness, we are providing some materials in our packet and on our website to assist you in exploring and sharing knowledge. We are now making some additions to our website to provide opportunities to share culture, African art, patient stories, letters from the field, photos of our KFWH pediatric clinics, and affects of dollars contributed. It is my hope that we can work together in the development of new educational global health curriculum that will bring village life a step closer to our understanding. New opportunities to support villages will emerge as we grow through this process. We look forward to sharing ideas that you develop among your group members in education and awareness, in fundraising, and in membership drives. Clearly, this can be felt as a monumental task, especially within our typical school day. However, it is our experience, that if chapters can accomplish one event within each aim of awareness, fundraising, and membership; then much has been accomplished, especially life’s most important lessons. Thank you again for joining us. I will look forward to hearing from you! Think what we can do! 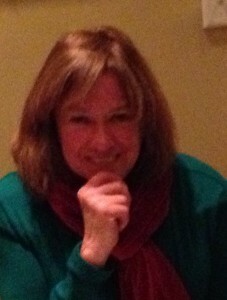 Kay Kobbe, Founding Teacher and President of KFWH.